Here are some more steps to take as part of planning Thanksgiving day to make it a stress free, enjoyable time for you and your family. This week we're still mainly in the mode of planning for Thanksgiving, although we will also deal with a little Christmas preparations too this week. 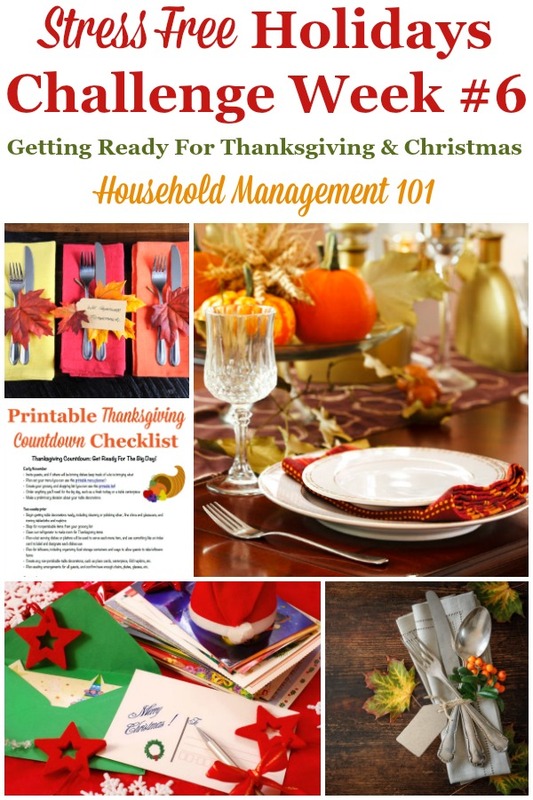 This week as part of planning Thanksgiving day, you should slowly begin decorating your home for Thanksgiving. You don't need to get out all your decorations at once, but instead I suggest doing it slowly throughout the week. 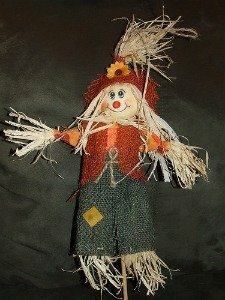 Of course, many of the fall decorations you have around your house, even from Halloween, may also work for this time of year so it may not be too much trouble for you. Just as with your Halloween decorations, do yourself a favor and give away or throw away any decorations you know you won't use anymore. If you don't use them they are just clutter and should leave your home. It will make putting things back away after the holiday is over easier as well. Further, make sure you put away all the boxes and other storage containers that held your decorations once they're in place, so they don't stay out too long. This is also the week to think about the decorations and embellishments for your Thanksgiving table. Do you use your fine table linens, and your best china and silverware, for example? Do you like to fold your napkins in a pretty shape for the table? 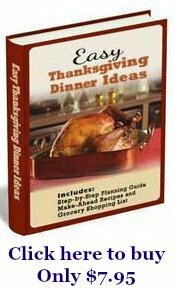 If so, now is the time to begin getting this stuff ready, so you are not in a mad dash trying to wash the china, iron the tablecloth, fold your napkins, and clean and polish the silver while trying to cook the Thanksgiving feast and entertain your out of town guests. Think through what needs to be readied for the big day and write notes on your calendar about when you will prepare all these things. 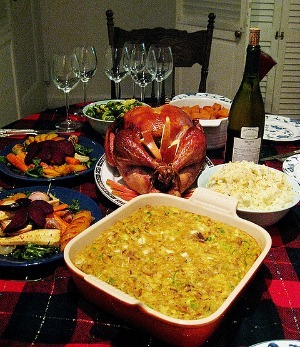 I suggest doing it all at least a week before the big day if you have a place to keep it out for a little while, so you can focus during the week of Thanksgiving on the food preparations and entertaining, only. Also, this is the week to think about whether you have all the place settings you need, chairs, glasses, and other things you may need for Thanksgiving day. If not, make arrangements to rent or borrow this stuff now, or have friends or family bring some folding chairs or other items with them that you can use on the day of Thanksgiving. 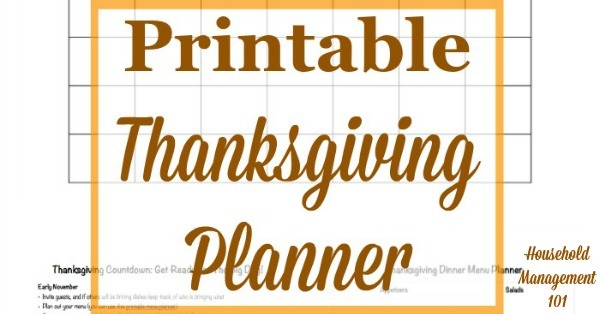 These little planning Thanksgiving sessions this week can make a real difference in lowering your stress level and raising your enjoyment level later on. In regard to your kitchen, make sure it is ready for you and family members to cook a big meal in. Similarly, now is the time to do a big house cleaning blitz to get ready for company. Make sure you focus on the areas where your guests will be, such as the kitchen (already discussed), dining room, living or family rooms, and don't forget the guest bath and guest room. 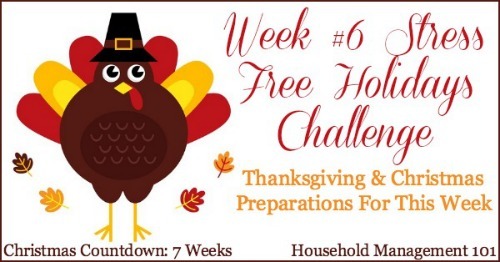 Make sure to consult your Thanksgiving countdown checklist to get the big picture of what you should do each week to prepare for the big day without stress! One of the most difficult things to do, without getting stressed out, is to actually take all the small steps needed throughout the holiday season to get your Christmas cards out on time. That's why even though our big focus this week in on planning Thanksgiving day, we are also going to tackle this big step for planning Christmas -- actually ordering your Christmas cards. Perhaps you've already done this, since I have reminded you a couple of times already during these weekly challenges, but here's yet another friendly reminder! You can just go to a store and buy some generic cards, and send those out if you like. However, with today's technology and fast printers, like Tiny Prints, who specialize in personalized Christmas cards, there really is no need. Plus, if you order now you don't have to pay for rush orders or extra fast shipping, meaning it is not much more expensive to get the personalized cards than the generic ones. But, to make sure that you get them back in time to lesiurely fill them all out, and address and stamp them, you need to order now so you can take the next step regarding your Christmas cards as part of this Stress Free Holidays series when it rolls around. Good luck with planning Thanksgiving day this week, along with just a little bit of Christmas preparations thrown in there too! Remember, I'm doing all these things right along with you! How Is Planning Thanksgiving Going So Far? Tell Me In The Comments, Plus Sneak Peek For Next Week!